TRANSFORM YOUR DREAM INTO A REALITY. Darsan Contracting looks forward to taking the landscape design through to the landscape construction phase; turning a concept into reality. Staying true to the landscape design during the implementation of the landscape construction and communicating with the home owners is very important. 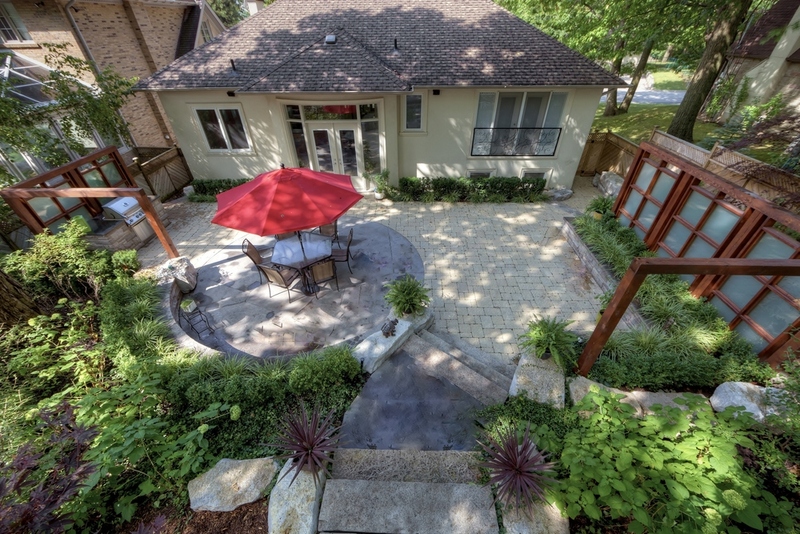 The main objectives for this backyard project was to create a low maintenance garden that blended into the existing landscape of a mature forested backdrop, while continuing to have ample space for dining, entertaining and lounging. 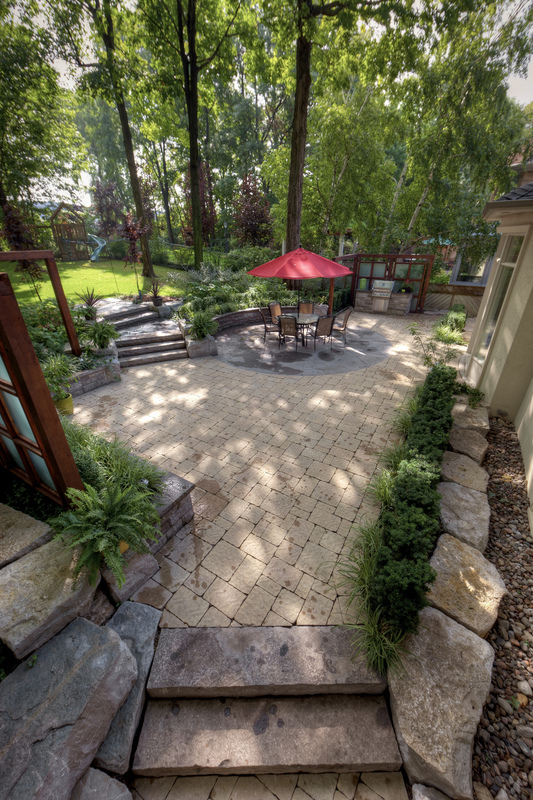 Large patio spaces were defined with Owen Sound flagstone and Trafalgar lockstone pavers. Tiger stripe Owen Sound retaining walls defined the spaces and provided various planting pockets. 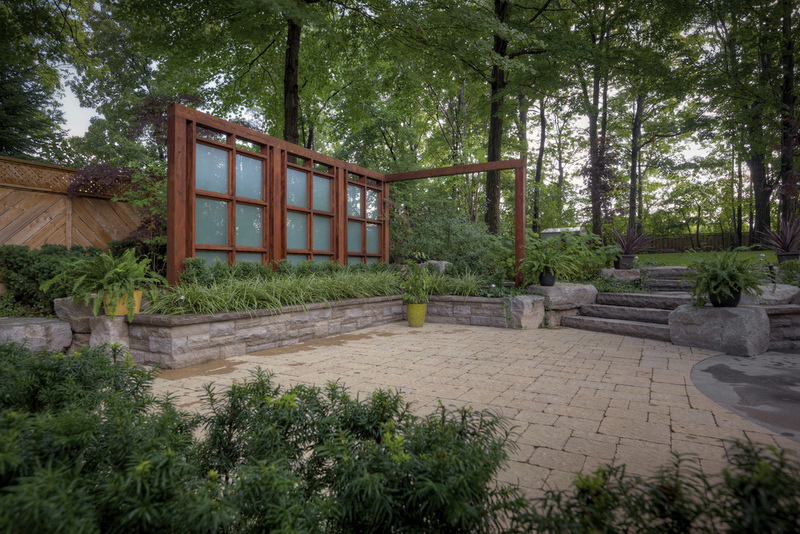 Privacy screens with frosted glass inserts were incorporated in the backdrop to provide additional privacy. 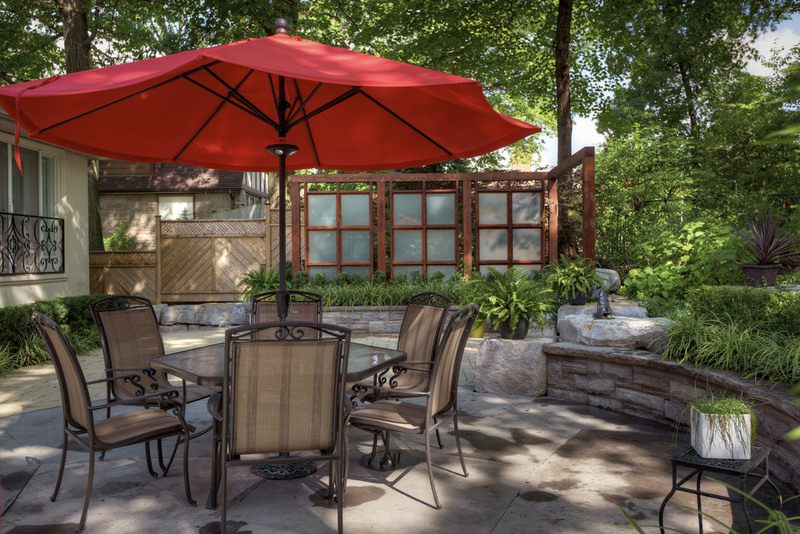 The multi-leveled backyard provided a generous space for recreation.